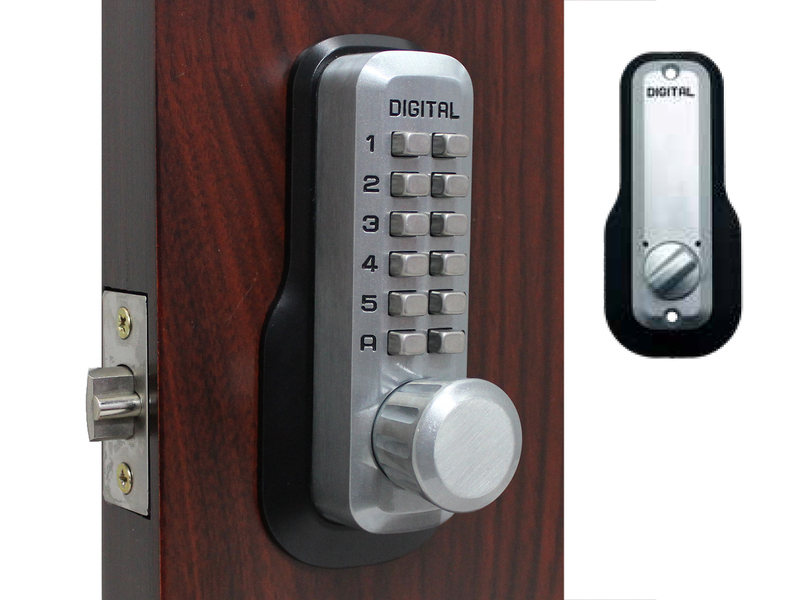 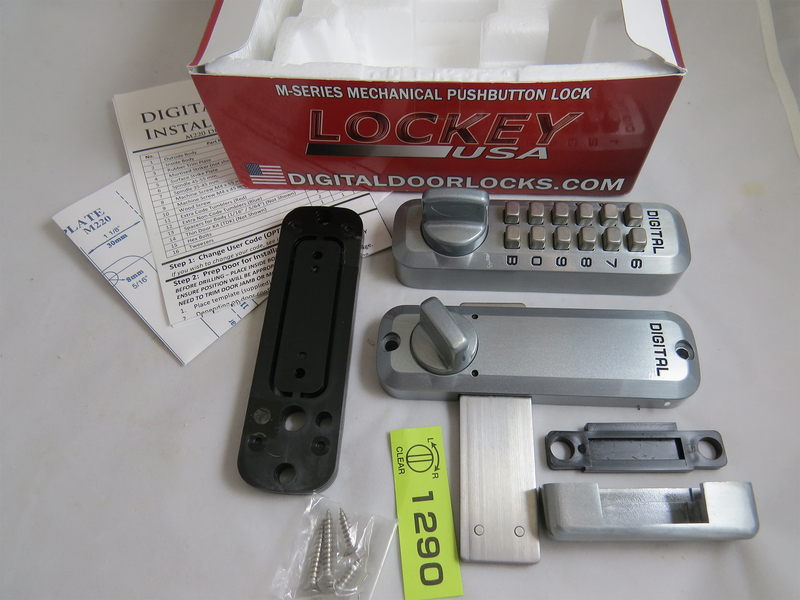 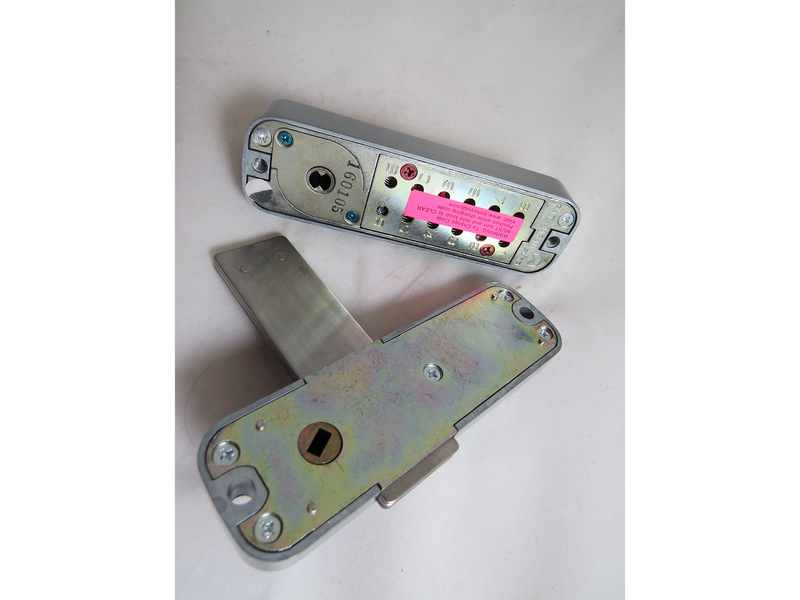 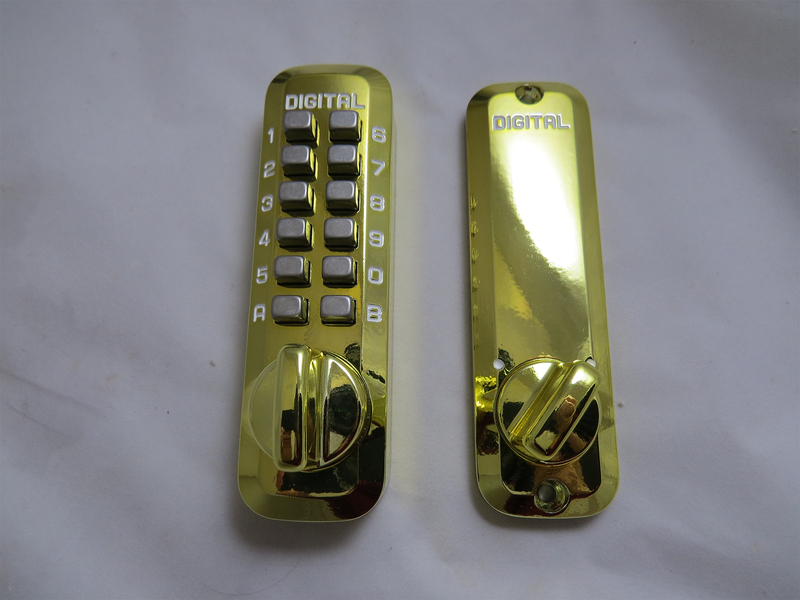 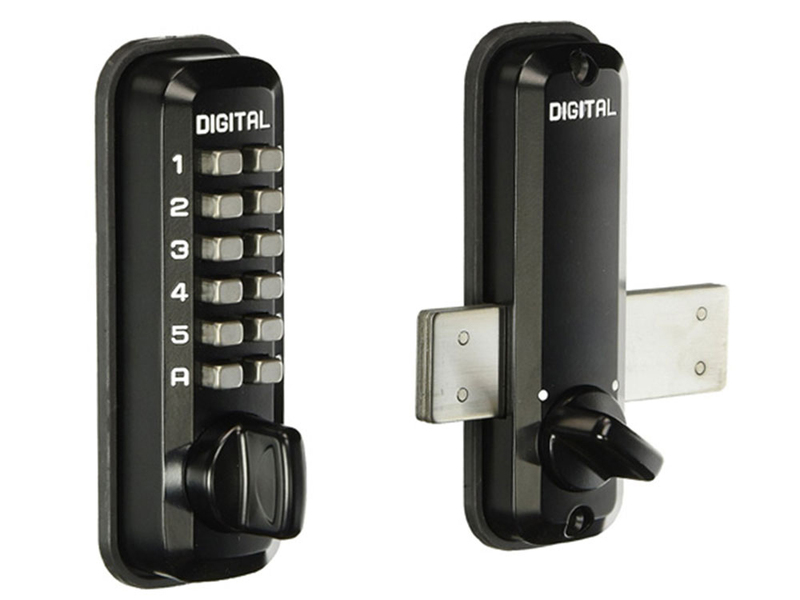 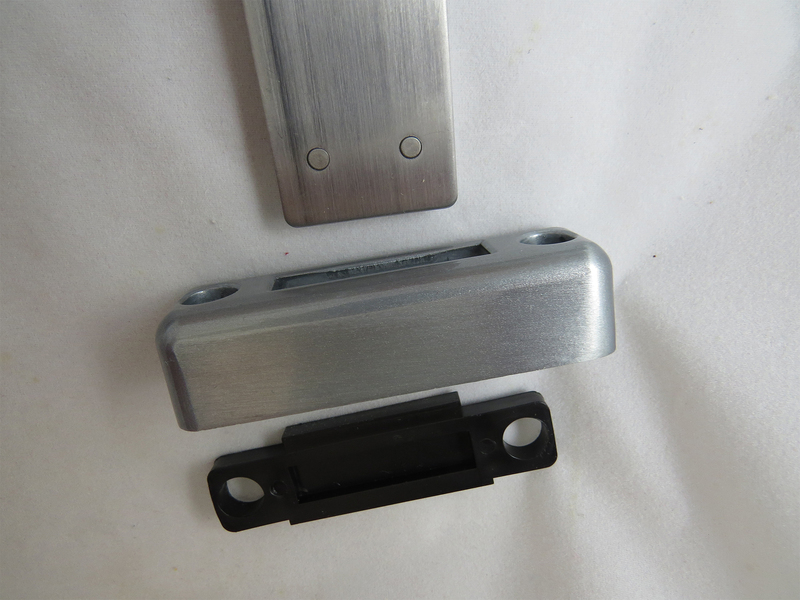 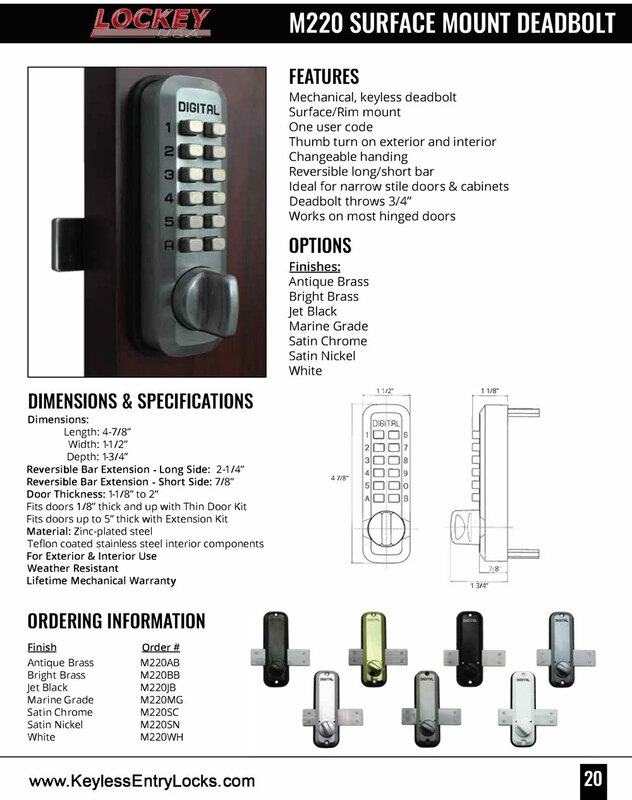 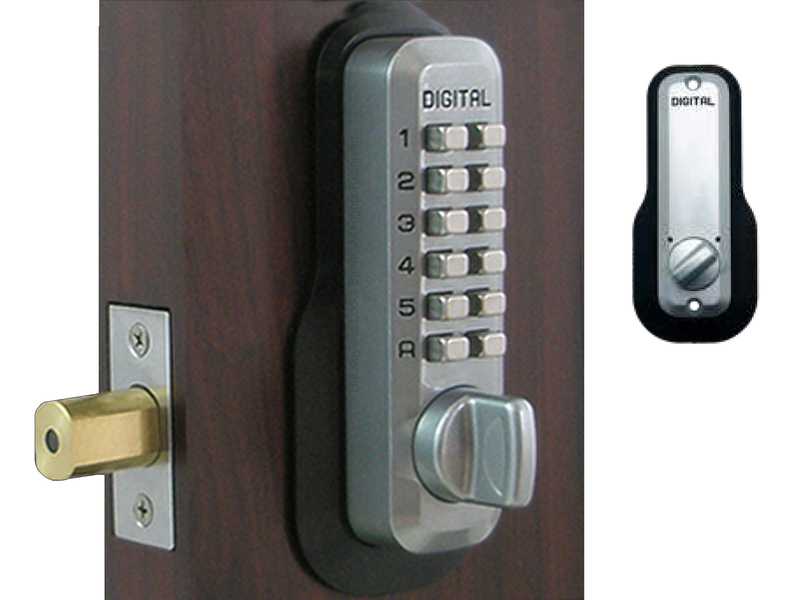 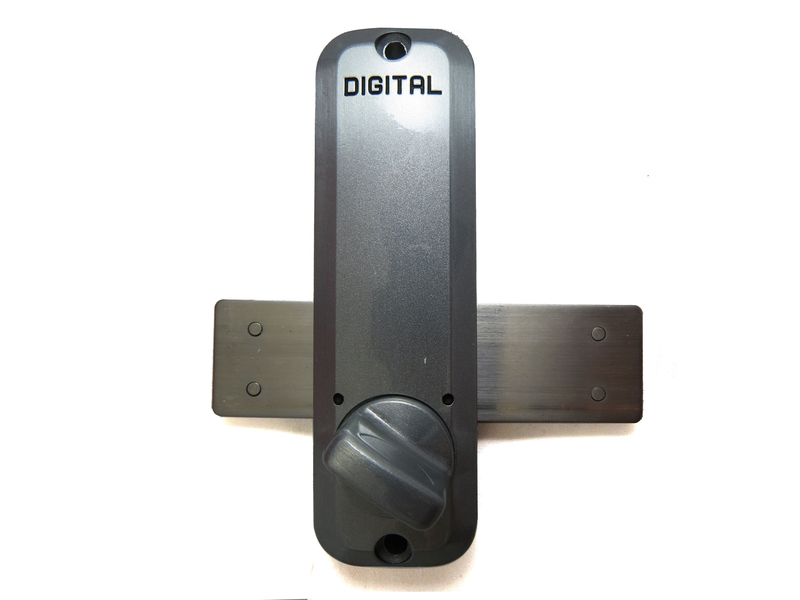 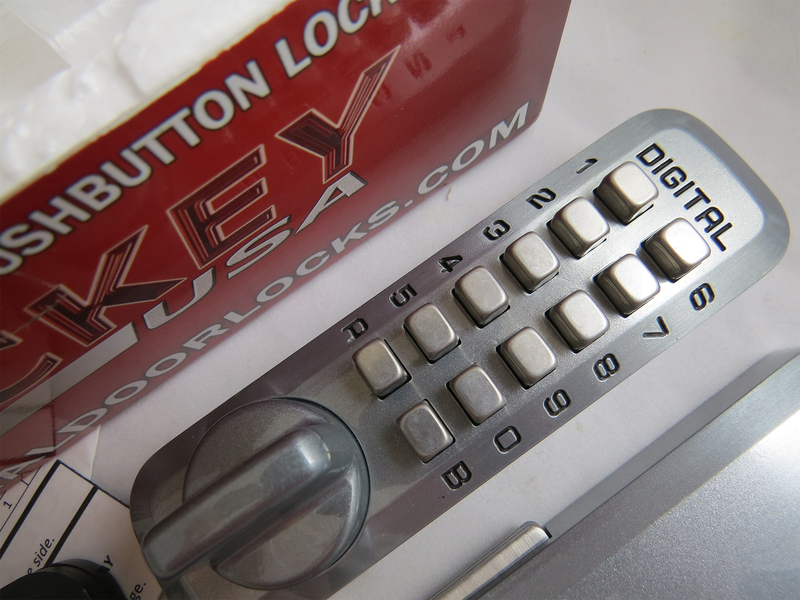 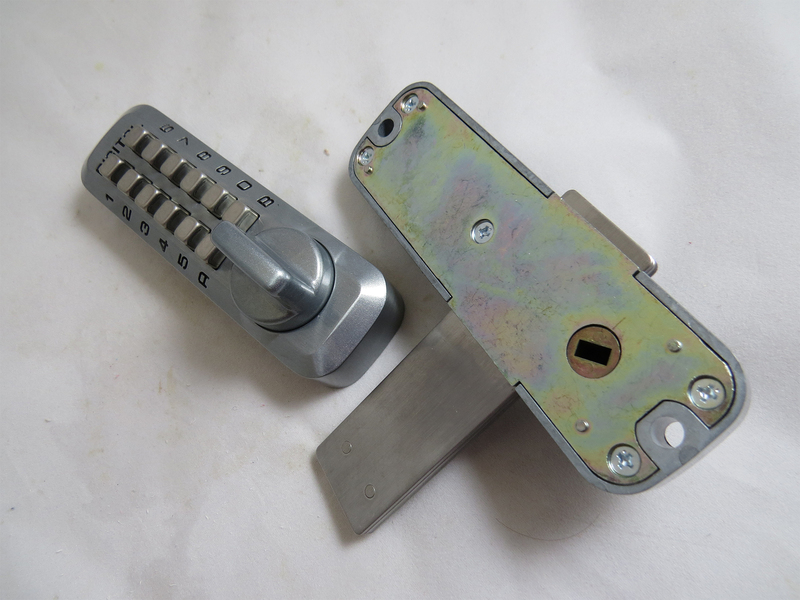 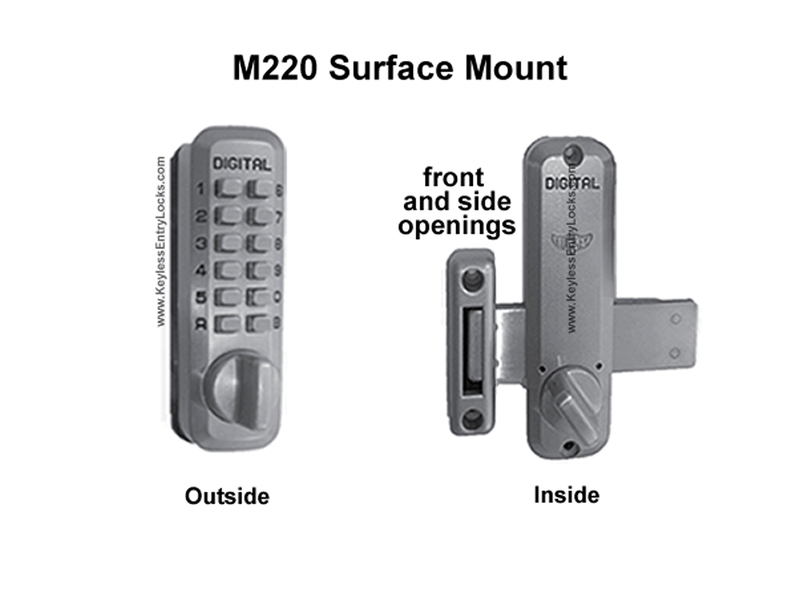 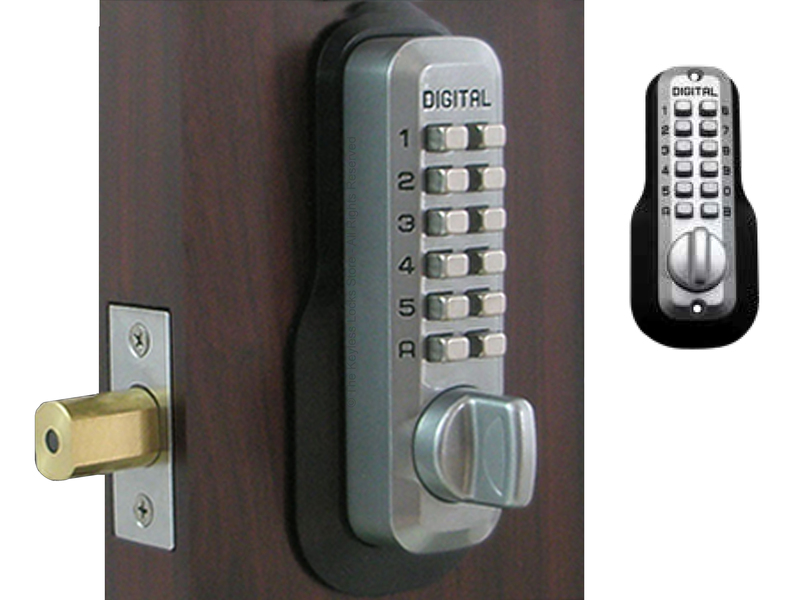 The locking mechanism of the Lockey M220 Home Slide-Bar Deadbolt Keypad Lock is a sliding bar that moves back and forth sideways to lock and unlock the lock. 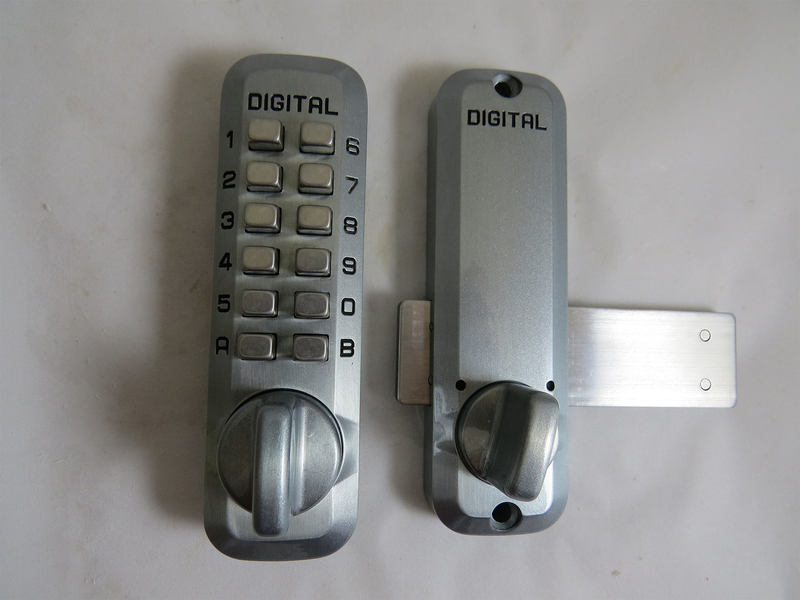 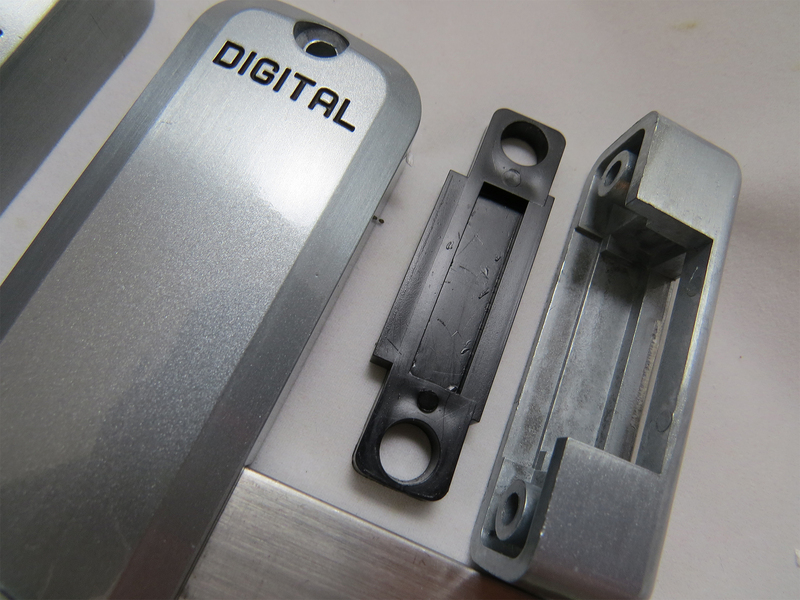 Two sizes of slide bars are included with each mechanical keyless door lock: a short one and a long, to fit almost any application. 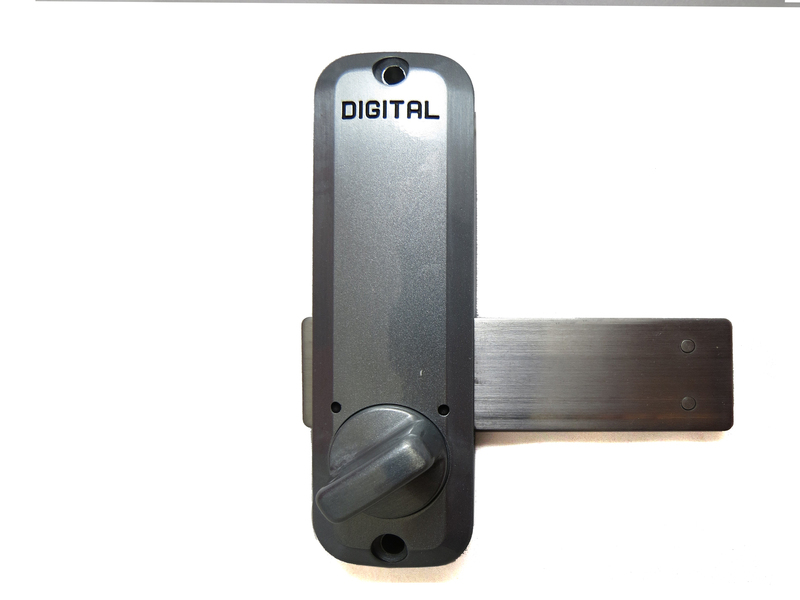 Use the long bar with the sliding bar lock if you have a large gap between the post (or frame) and the gate (or door). 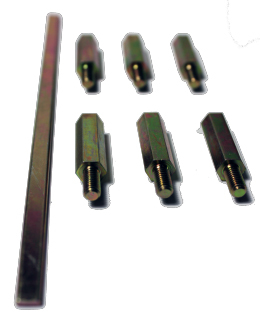 BOLT EXTENSION: Long bar extends 2-3/8" from lock body; The slider bar extends out from lock body approximately 1”. 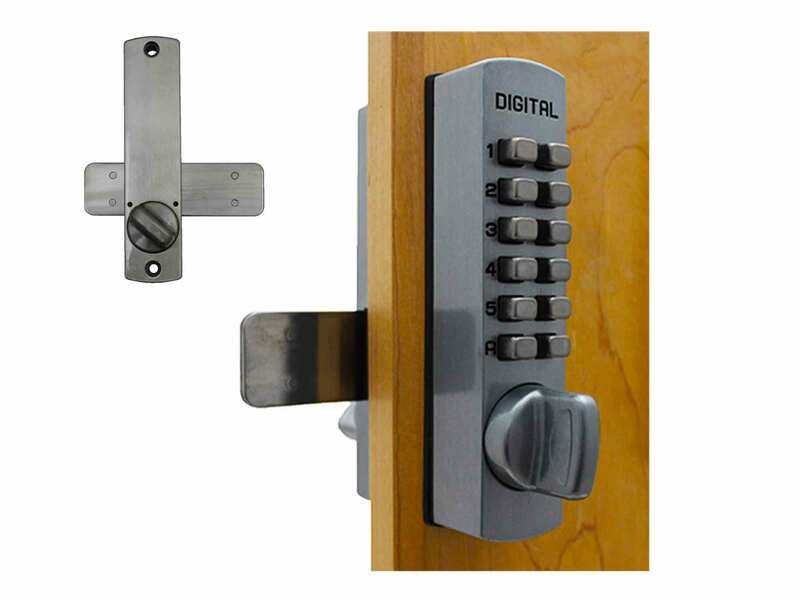 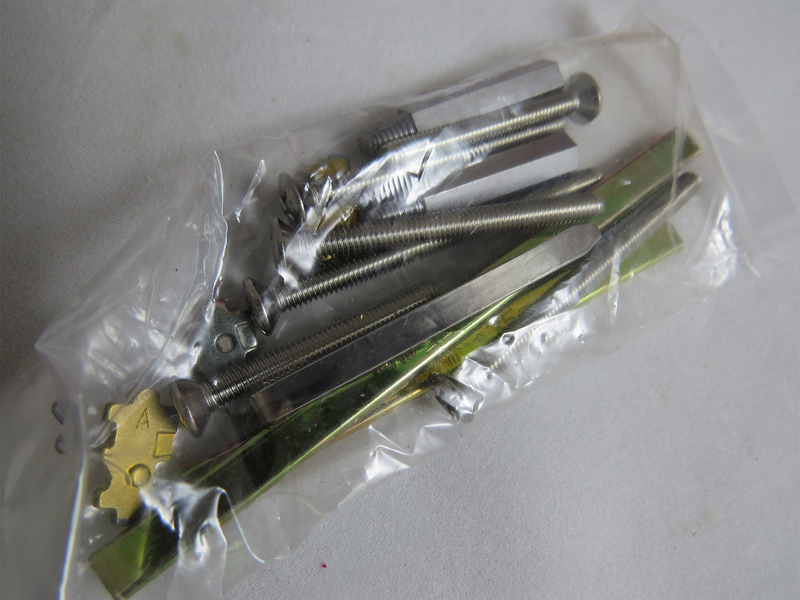 DOOR/GATE TYPE: (locks for cabinet doors on hinges which are typically thinner than most building doors); (locks for standard doors/gates that swing and are made of wood/vinyl/glass/metal, with/without vertical posts or pickets). 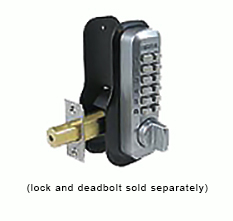 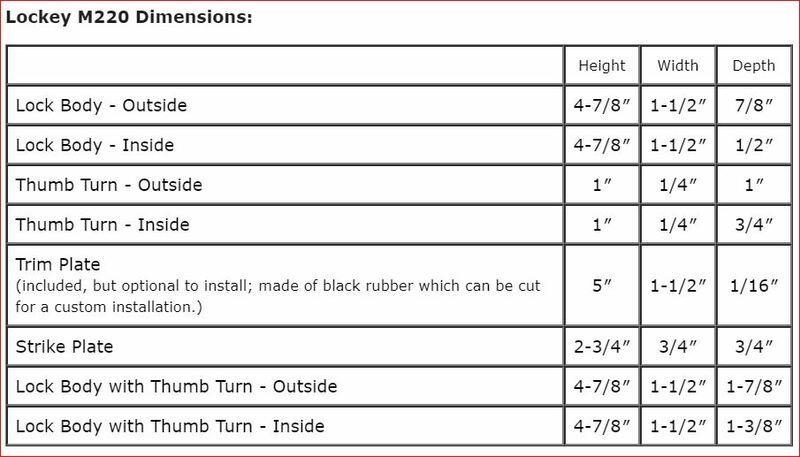 LOCKS FOR ...: (economical locks designed for residential/light commercial use with fewer features, fewer users, and light traffic); (locks that are designed for exposure to ocean or road salt; (locks that are designed for use on thin trailer doors); (mechanical, non-electrical keyless locks without a key override).